Geopolitics are still being eyed by investors but equity markets have focused on earnings in early trading Thursday. 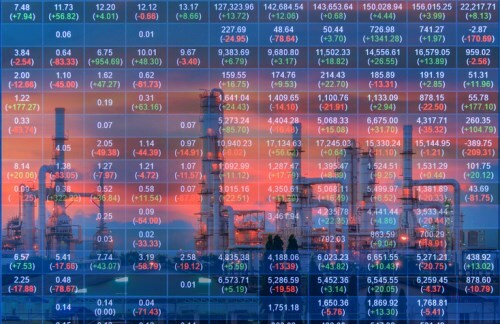 Results from Wall Street-listed companies and some key European players have been digested by investors and oil prices have seen a gain overnight, although far below the near-4 per cent decline of the previous session. Asian markets closed mostly higher led by Hong Kong while Tokyo and Shanghai were flat. Australian business confidence held steady in the first quarter. European investors are weighing regional earnings and data. London continues to lag its peers following the election call and rebound for the pound. BoE governor Mark Carney speaks in Washington later. World finance leaders will be meeting at the International Monetary Fund and World Bank events in Washington Thursday and will aim to exert influence over President Trump’s protectionist policies. The two global organizations see some of the US president’s proposed trade and tax reform policies as a risk and hope that they can help change his mind. "These meetings will all be about Trump and the implications of his policies for the international agenda," Domenico Lombardi, of Canadian think tank Centre for International Governance Innovation told Reuters.